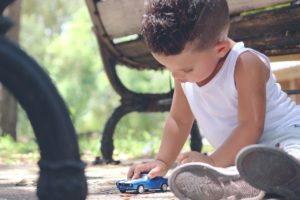 May 19th, 2019 11:30PM – Spring Picnic at Phillipe Park Shelter #8 in Safety Harbor. Come for games, food and fun! Phillipe park has beautiful views of Old Tampa Bay, a variety of playgrounds, walking trails and wonderful facilities. Bring a dish to share (or a $5 free-will donation). We’ll have bug spray and/or sunscreen on hand – or bring your own! Email Laura Carpenter (Holy Trinity’s Family Minister) if you can come! 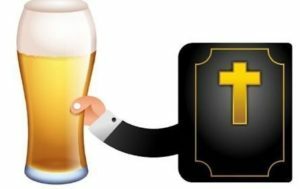 May 17th, 2019 6:30PM – Beer and the Bible at Crooked Thumb Brewery. Bible Study with beer (or other beverage) so bring your bible! Let’s see if we can make this a monthly event! Big League Grilled Cheese Food truck will be available for dinner, or you can bring outside food as well! Contact Laura at for more information! Also, Crooked Thumb has an outdoor area that is family friendly where children can play. 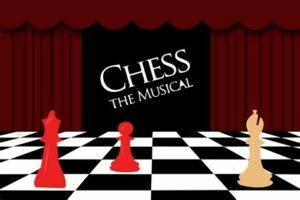 Wednesday May 8th, 7PM – CHESS The Musical – Francis Wilson Playhouse, 302 Seminole St., Clearwater, FL. Appetizers and drinks beginning at 7PM. Tickets $30. Contact Ernie Colquette or purchase tickets after each Holy Trinity service and through the Thrift Shop. This is an important fundraiser that benefits the Episcopal Clearwater Deanery’s (all the Episcopal churches in Clearwater) annual mission trip to improve the education and facilities at a very low income children’s school in the Dominican Republic. May 4th, Preschool and Brunch 10:30AM – noon – Playgroup for kids and parents/guardians/grandparents of preschoolers! Meets the FIRST Saturday of the month at 10:30AM. Come for fun activities with the little ones and share a meal together! Contact Cristi LeFebvre for details! April 5th, 2019, 7PM – Rhythm Kings Jazz Orchestra performance at Holy Trinity! Get tickets now from Dunedin Music Society. If you appreciate a rockin’ jazz sound from the big band era, you’ll love Rhythm Kings on a Friday night in April! March 17t h, 2019, 4PM – Chorus Angelorum performs at Holy Trinity. Chorus Angelorum is a mixed-voice A Cappella vocal ensemble under the direction of Rick Smith. 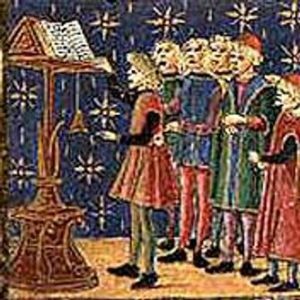 The group began as an ensemble dedicated to the study and performance of Renaissance music, but has expanded its scope of music to include works from Early Music to contemporary and popular styles as well. Concerts are entertaining, enjoyable and eclectic mix of many musical styles. (Our own Grace Smith, Parish Administrator, sings in this group!). Please join us at 4PM on March 17th for this wonderful performance and refreshments following! 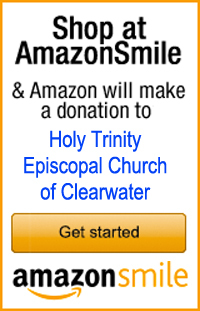 February 2019 – Holy Trinity is conducting a “Period Products” drive through the month of February 2019 to benefit low-income women in the Clearwater area. 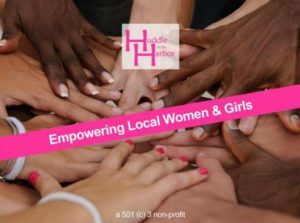 HUDDLE IN THE HARBOR, a local nonprofit, will distribute these items to domestic violence shelters, pregnancy crisis centers, and women’s programs nearby. If you have in your heart to pick up some extra tampons, pads, panti-liners while shopping, or you have individually-wrapped single items you can donate, please place in the bins in the Ladies’ Bathrooms throughout the month of February. Contact Karen Owen with questions. Read more here about Huddle in the Harbor! ‘Tis the Season! Join us for a Christmas Concert on December 16th at 4pm! Bring your Christmas spirit to the Holy Trinity sanctuary and revel in the music of the SUNSHINE BRASS ensemble. No tickets needed; a love donation basket will be available. Fur, Feathers and Scales! It’s the Annual Blessing of the Animals on Oct 3, 2018 at 6:30 pm. Bring your pet friend(s) to receive a blessing as we recognize God’s and the Church’s love, care, and concern for creation and honor our mutual interdependence with all God’s creatures great and small. What do you know about HIV/AIDS? Sept 27, 2018 6-8pm. Hear from a panel that includes healthcare professionals and specialists, pharmacists, advo-cates and survivors and more! Don’t miss this event, click here to register today! K ickoff Sunday is Sept 9, 2018 after the 10AM Service. 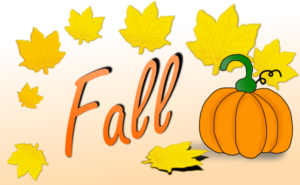 This day marks the beginning of Holy Trinity’s fall programs. Teens and children will serve as readers, ushers and acolytes at the 10 a.m. Eucharist. Games and fun activities for younger children will be presented in the Parish Hall during lunch at 11:30 a.m. Bring a friend! Night out at the Ballpark! June 30th, 2018 5PM at Spectrum Field. Join us for a night out at the ballpark at Spectrum Field. 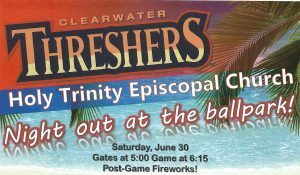 Tickets include pre-game all-you-can-eat dinner and drinks and a fabulous fireworks show! 16oz draft beers only $2.50 until 7:30PM. Enjoy some good fellowship with the Holy Trinity folks and cheer on your favorite team! 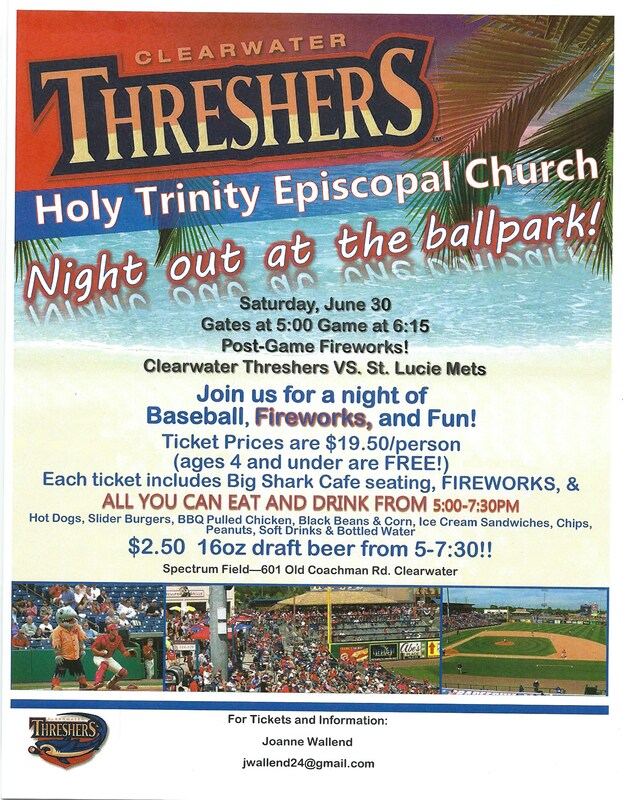 (Is it the Threshers? Or the St. Lucie Mets?!) Tickets only $19.50 pp and kids 4 and under are FREE! 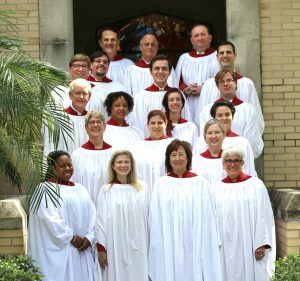 St Johns Episcopal Church – Tampa – Choral Concert June 3rd, 2018, 4-5PM. Join us at 4PM on June 3rd, 2018 for a free concert by St. Johns Episcopal Church in Tampa as they perform beautiful liturgical music from Wesley, Haydn and others! Concert will last approximately one hour with a reception immediately following! 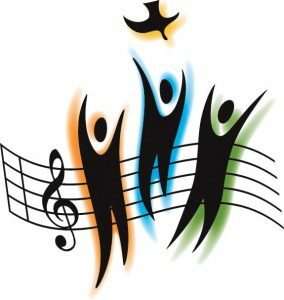 Weekly choir rehearsals are each Thursday, from 6 – 7 p.m. in the church. If you would like to participate in the Choir, please come join us! All are welcome, and there are no auditions. We have plenty of seats in the Choir stalls, so let’s fill them up. For more info, contact Nick Herrin, Music Director. 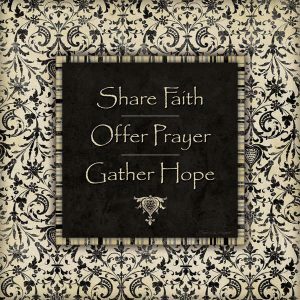 Prayer & Share meets the 4th Friday of each month at 6:30 p.m. for a potluck dinner and 7 p.m. for the program. It is an open grouping of parishioners and guests who share the love of Christ with each other and encourage each other in their daily walk with Christ. The program may consist of a DVD series, a guest speaker, or a topical discussion–it is always Spirit led and directed. Please contact Charlie Kunath for more information. 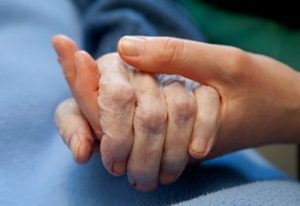 The Caregiver Support Group comes together to share the problems, worries, and frustrations of being a caregiver…as well as ideas and successes. 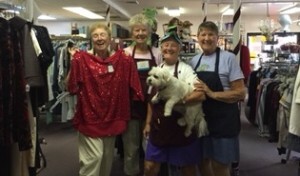 Coordinated by Brookdale Senior Living – Countryside. We meet at Holy Trinity the third Thursday of each month from 5:30-6:30 p.m., upstairs in the Parish hall. RSVP to 727-726-5090. It’s free and open to the public. Light snacks and refreshments will be provided.